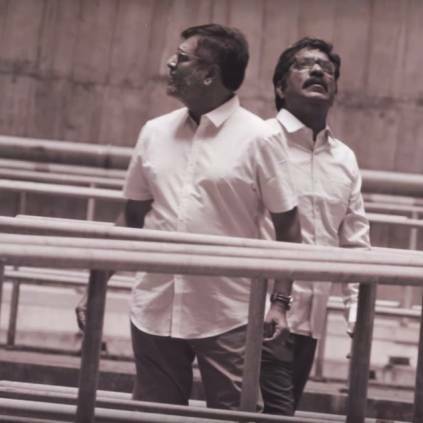 Vellai Pookal is an upcoming Tamil film directed by Vivek Elangovan and produced by Indus Creations, formed by a group of Indian Techies in US, in association with Tentkotta Entertainment. The movie stars Vivekh, Charle, Pooja Devariya, Dev and Paige Henderson in the lead roles. The movie is all set to release in theatres worldwide on April 12. A new lyrical video song is out now. This song Potraamarai is sung by SP Balasubrahmanyam, Ravi Gopinath, Priyanka NK while the lyrics is written by Madha Karky and music is composed by Ramgopal Krishnaraju. The song sounds powerful and SPB’s voice has added more soul to it. FULL VIDEO: சந்தனப் பேழையில் Dir. Mahendran - மனதை உருக்கும் காட்சிகள்! People looking for online information on SP Balasubramaniam, Vellai Pookal, Vivekh will find this news story useful.